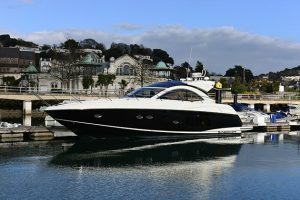 Launched at the London Boat Show in January 2012, this wasn’t the first time we’d seen the V39 moniker in the side of a Princess. 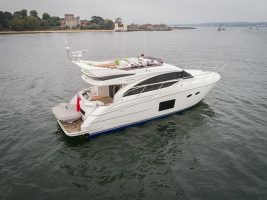 The yard has form for reusing old-model designations of course, but given that the previous Princess V39 was an early ’90s model, it was a little like seeing Jaguar launch a new sportscar and calling it the XJS. 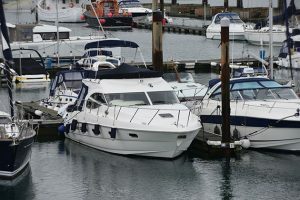 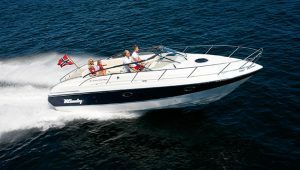 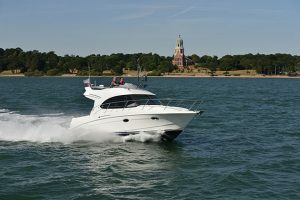 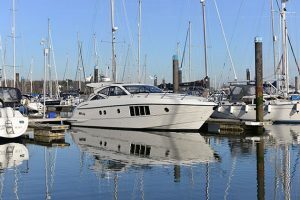 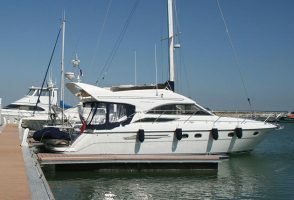 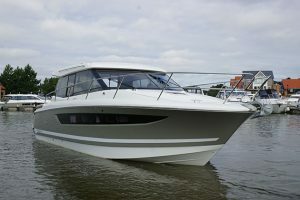 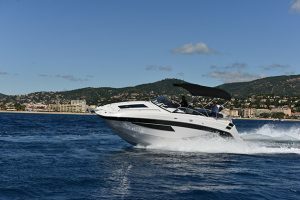 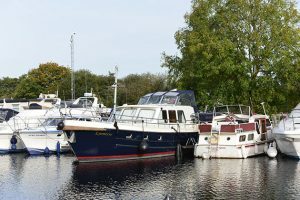 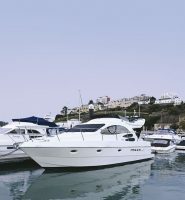 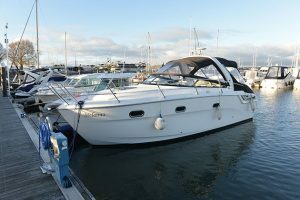 It evolved into the V40 (extended bathing platform) in 1996 and then into the V42 (stretched hull, larger mid cabin, tender garage option) in 1999, which was tweaked into the V42 MkII in 2006 – essentially the same boat but gently facelifted. 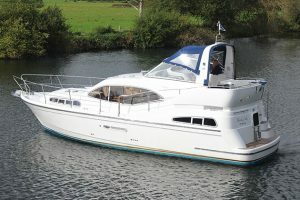 When production finally ceased in 2008, over 500 of the trilogy had been built over 15 years, making it one of the most successful models in the company’s history. 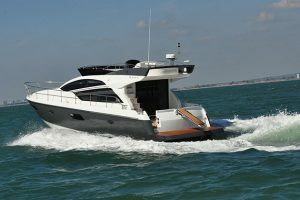 The replacement V42, the MkIII, launched in 2009, was a very different animal. 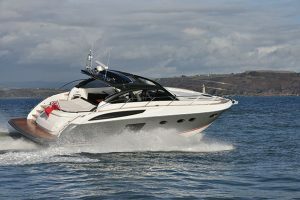 Longer, wider, and sporting a tender garage as well as a huge cockpit (previously it had been either/or), an optional hardtop and a second ensuite for the mid cabin, it pushed the V42 into a whole new marketplace with a price tag to match – it cost nearly £400,000. 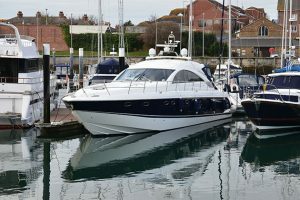 It was a great boat, but it left a gap in the range for a sub-£300,000 entry-level Princess that remained for three years. 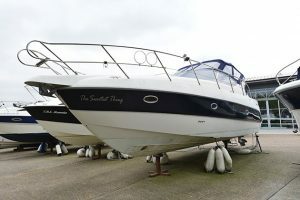 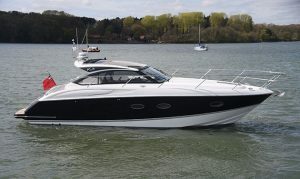 The new V39, the boat you see here, hit the price list at £282,000 inc VAT, comprehensively nailing the brief. 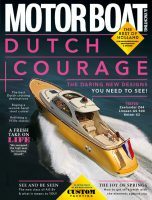 The V39 was dead; long live the V39. 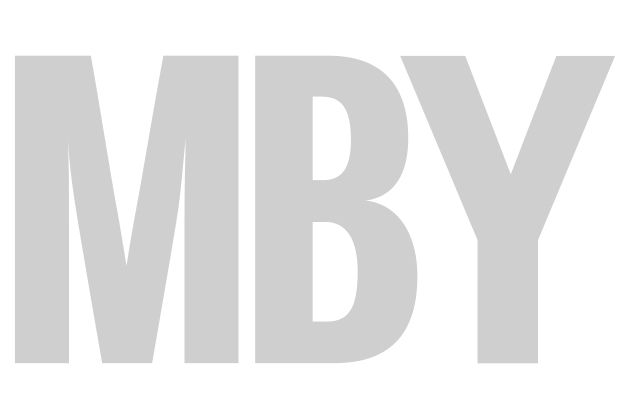 Read the full report in the October 2017 issue of MBY.